To make sure you get the best deal we'll show you great prices from all of our drivers, including T.J Removals, if they're available on the day of your move. Have a question for T.J Removals? No problem, send them a message and they'll email you back as soon as possible. If you have a more general question you might find it answered in the FAQ, or you always contact one of our brilliant customer service team. * T.J Removals won't be able to see your email address. Very efficient! It was great. Great service: professional, flexible, friendly and courteous. Delays happen, but it is important to be honest about times and communication is extremely important, especially on moving days. I would like to leave a fair review since at the colllection address the two guys had to carry items from a loft room on 2nd floor so it wasn't the easiest carrying items down two flights of stairs, however I would say if you have expensive items or furniture one of the guys wasn't very careful when carrying items. Especially at my new place which was ground floor the same guy started dragging my white bookcase on my newly laid laminate flooring and when I noticed the leg of the bookcase being chipped I asked him to stop and leave it. I must say they were polite people however I wouldn't use again as I like my items beings carried carefully and hearing my items bashing against walls makes me feel uncomfortable. The chaps were complete gentlemen and a pleasure to work with. And they agreed to take apart my sofa and beds which was necessary to get them out of my flat. Great move, they were right on time and very efficient. Super nice guys as well. I have only used the service for 1 hour. It would be nice to have the possibility to book for less than 2 hours or have a refund if the moving takes less time. We have a 2 hour minimum booking time on the website, this is an industry standard and is made clear before you book. We are unable to offer a refund of booked time not used, as obviously as you have booked the driver for the whole of that time period, he is unable to take on other work for that 2 hours. Really lovely chaps, Smiling and happy. 5 stars to the driver but I'd give 2 to the service. Having booked a man and a van 1 month before the bank holiday weekend, I received a text message from the driver on Friday after 5.00 pm that he's got a problem with his van. I may need to find a replacement. Nice one... Anyway I called the website on the Saturday morning to explain the situation. They told me that they would check with the driver and come back to me asap. They did, only to confirm that the driver would be there but at 12.00 instead of 9.00. Fair enough, I need to move today... So I called the driver at 11.50 only to be told that he told the website ppl that he couldn't make it. So I went back on the phone to ask for an explanation. The guy on the phone told me then, that someone would come at 12 and I would get a call back to confirm. Anyway eventually some guy in a white van turned up and I managed to get the job done and I never got a call back. Quite stressful if you ask me and very poor communication. We apologise for the confusion with this booking. 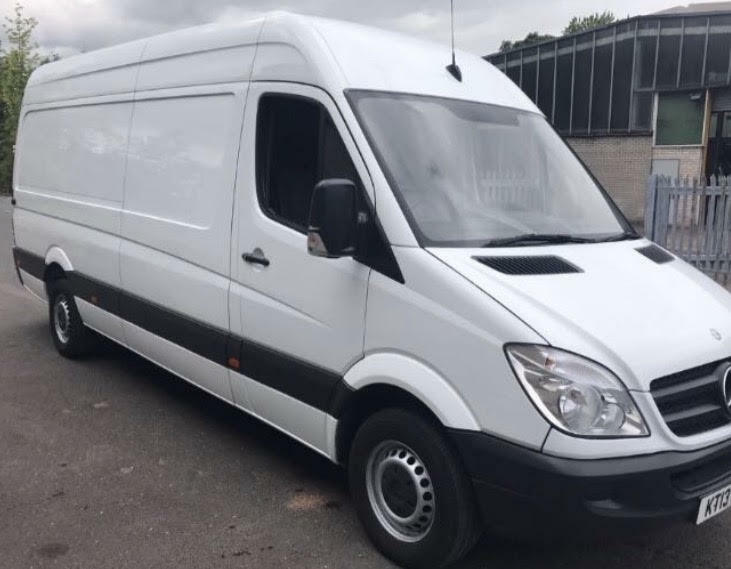 As the original driver had a problem with his van, rather than cancel your booking and refund you in full at that point, we worked to send a replacement driver so you were not let down for your move. We informed you that the replacement driver would be with you for 12.00 noon, and he was in fact with you for that time so your move could go ahead. These guys definetly know their stuff! Very professional and friendly. No stress at all! I'll choose these guys again and you should too!